The President of GJU Prof. Manar Fayyad, Vice President Prof. Atef Kharabsheh, the Director of CTC Dr. Abdullah Abdullah, the Dean of the School of Applied Humanities and Languages (SAHL), Dr. Christine Hildebrandt, the program coordinator Dr. Thilal Owise, the CTC team and instructors attended the ceremony. During the ceremony, the ALC students presented their abilities in the Arabic language through speeches, poetries, and songs from Jordanian heritage. They presented a short video showing the various activities during the last four months. 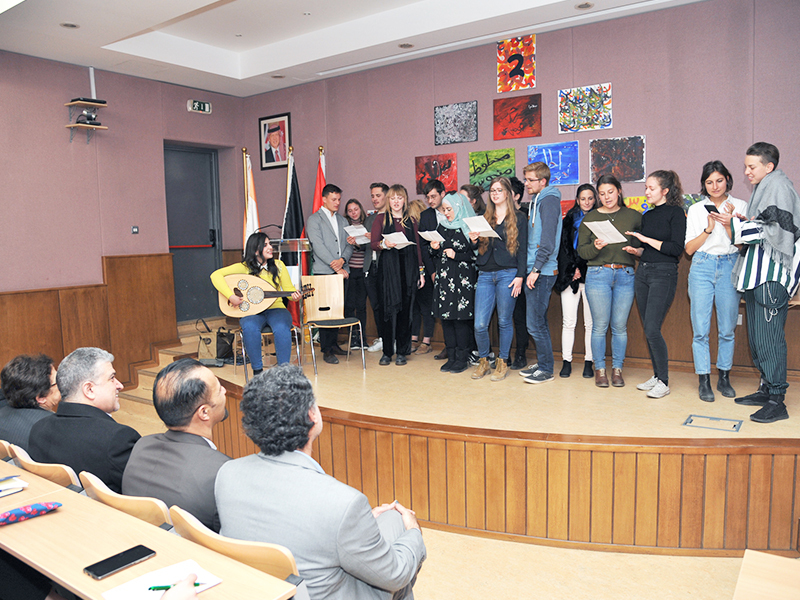 The CTC organized a “Cultural Week” during the semester to expose the students to the Arabic- Jordanian culture that included workshops in Music, Arabic Fonts, Art, Arabic literature and poems. The students engaged in field’s trips where they visited tourist sites in Jordan such as Petra and explored the city and countryside. 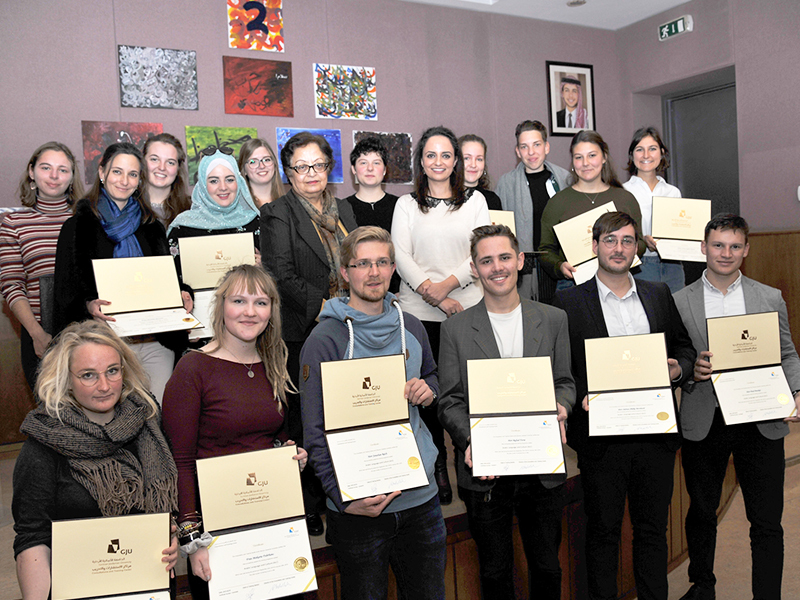 The program “Arabic Language and Culture” was initiated by the German Academic Exchange Service (DAAD) and established by the German Jordanian University (GJU) in 2014. 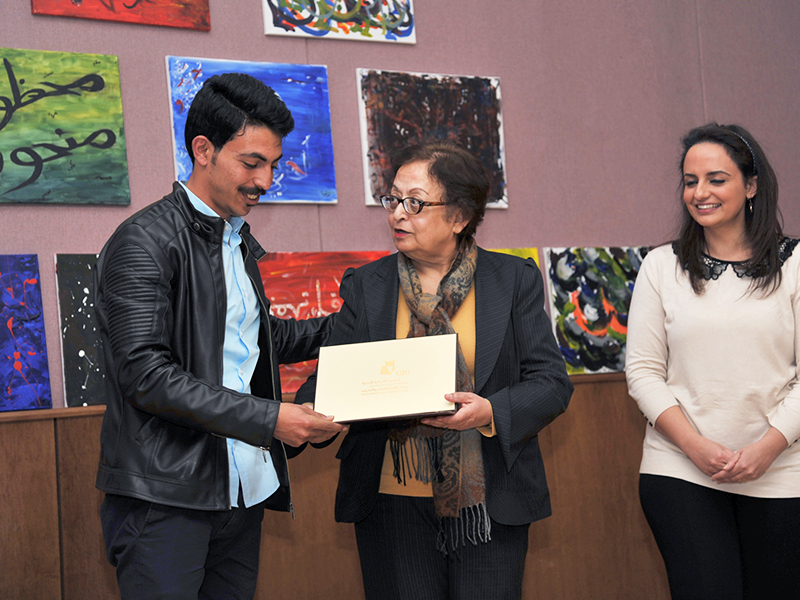 At the end of the ceremony, Fayyad handed the certificates to the graduates.